It’s a Saturday morning at the Gorakhnath temple, and there’s a hustle-bustle in the compound: the chief minister’s in absentia durbar is on. Callers phone in their complaints, and letters are issued that, hopefully, will solve their problems. In a sense, it’s an extension of what Yogi Adityanath used to conduct as the mahant of the temple and the local MP; now, it continues with him as chief minister. There are functionaries who take down the complaints and forward them to the right places; the crowd is an indication of how effective people think this forum is. As a chief minister who recently completed 100 days, Yogi Adityanath continues to draw influence and strength from the temple, which has all along propelled him ahead in politics. On the other side of the fence from Vijendra Singh sit the petitioners. There’s a table and a chair that Yogi Adityanath would use when he used to be based at the temple. In his absence, a saffron towel has been draped on the chair; a pile of books and papers is on the table, among them a copy of the Ramayana. Behind the chair, there are photographs of Yogi Adityanath and other mahants. The symbolism is complete. There are five others with Vijendra Singh, handling the two landline phones that ring incessantly. They also go to work on the two typewriters in the enclosure, clacking out letters of recommendations and instructions or appeals to a range of offices and institutions at the political and bureaucratic levels of government. The petitioners, having passed through security checks, leave their shoes at the gate and approach these assistants of Yogi Adityanath with folded hands and bowed heads. Waiting in line for a ‘Maharaj ki chitthi’ is Sajida Khatoon, wife of Abbas Ali, from the Haisar Bazaar area of Gorakhpur. She complains that her husband gave her ‘triple talaq’ over the phone about a year ago. She seeks compensation. One of the assistants utters a couple of swear words and speaks opprobriously of Muslims till he is stopped by Dwarika Tiwari, an elderly man in white kurta-pyjama who heads the temple office. Tiwari then asks him to go and handle a request of a railway reservation from a petitioner called Bholanath Mishra. Among the petitioners is Lakshman Singh, who wants to get his revolver back from the police. 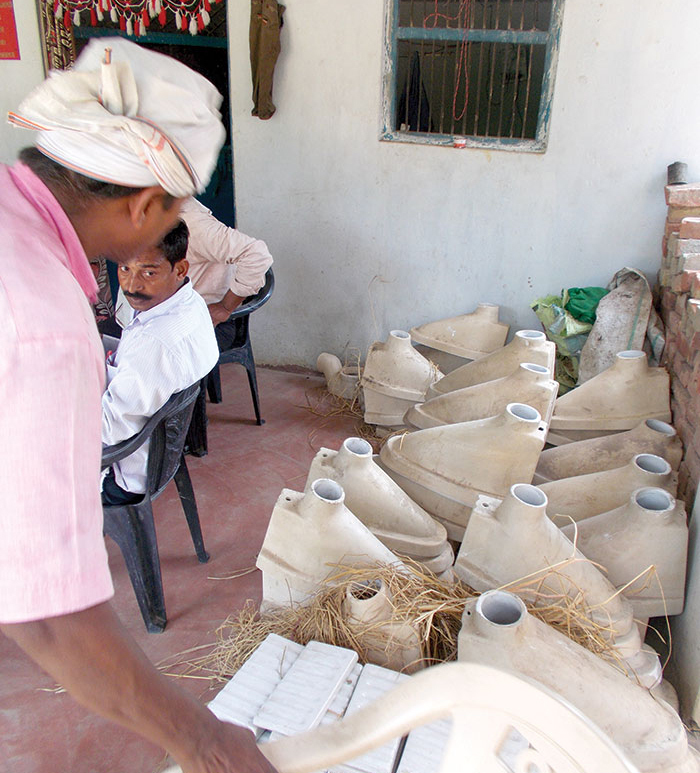 He claims it was seized when he was arrested with Yogi Adityanath in 2007 for creating communal tension. “I too have accompanied Babaji to jail. Since then, they have kept my revolver. Now I want it back. There can be no better time to get it back,” he tells Vijendra Singh. While Tiwari tells him to write an application, Lakshman Singh and Vijendra Singh speak about “settling a tehsildar” and building a “high-tech school here in Gorakhpur”. Hindu hardliner he might be, but Yogi Adityanath has some Muslims in his office and in the temple administration. Zakir Ali Warsi, the 51-year-old head of the office section that keeps land records, says he is one of the most important persons in Yogiji’s office. Mohammed Yaseen, who is in his 70s, is in charge of all the construction work at the math and at its properties outside. And then there’s Mohammed Moan, one of the caretakers at the cow shelter inside the math. Like the others who work at Yogi Adityanath’s office, they are all praise for the saffron-robed mahant. “I don’t know what people outside Gorakhpur or this temple think, but I have been working here since 2004 and some of the most important land documents are kept with me,” says Warsi, and adds that the math complex sprawls over 60 acres and expansion is underway. The Gorakhnath temple is the very nerve centre of Gorakhpur, and now, since Yogi Adityanath became chief minister, that of the state too. 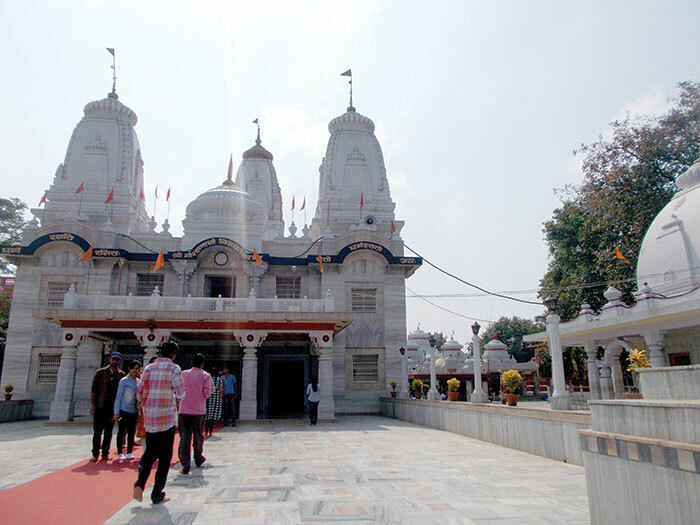 The temple is named after an 11th century yogi, Yogiraj Gorakhnath, who founded the Nath panth or Nath sect, and is said to be his samadhi spot. The yogis of the sect are marked out by their distinctive earrings: unlike usual earrings worn on the earlobe, these are worn on piercings that go through the conch of the ear. Yogi Adityanath, too, sports such earrings. The temple administration manages, in addition to this temple, one in Nepal. The temple has always been a part of people’s life here and the Yogiraj has almost aquired the position of the city’s own deity. Apart from a being a religious centre, the Gorakhnath temple had always been known for its social commitments, which is why the people of Gorakhpur have readily related to the temple. The temple runs a bhandara (community kitchen), a hospital, and a school. Mahant Digvijaynath had set up the Maharana Pratap Educational Society even before the establishment of Gorakhpur University. It was the first attempt towards formal education here. He was also one of the founders of Gorakhpur University. After becoming chief minister, Yogi Adityanath has sanctioned funds for upgrading the math’s hospital from 600 to 1,000 beds. Rajputs have in general dominated the temple and the mahants have generally been from that community. Mahant Digvijaynath, who actively began the link between the temple and politics in the 1920s, is said to be a descendant of Raja Uday Singh of Mewar. After him, the mahant was Yogi Avaidyanath, son of a Garhwali Rajput. His successor Yogi Adityanath, too, is a Rajput from Uttarakhand. More important, perhaps, is the political lineage. Mahant Digvijaynath began by joining the Congress, but later became a member of the Hindu Mahasabha. The late 1940s saw him pushing the Ram Janmabhoomi agenda. His successor Mahant Avaidyanath started off with the Hindu Mahasabha, once becoming an MP after fighting on its ticket. But he later joined the BJP. Like his predecessor, he was with the Ram Janmabhoomi movement. In the 1980s, he set up the Sri Ramjanmabhoomi Mukti Yagna Samiti and led a march from Sitamarhi, Bihar, to Ayodhya to “liberate” the temple. The day before the Babri Masjid was demolished in 1992, he was spotted on the terrace of the Ram Katha Kunj, a building facing the mosque, with BJP leader LK Advani and Ashok Singhal of the VHP, according to court documents. Throughout his political career, he used the Ram Janmabhoomi issue to garner votes. In 1998, Mahant Avaidyanath retired from politics and his role as the head of the temple, and his protege Yogi Adityanath (whose real name is Ajay Singh Bisht) took over. Yogi Adityanath, 45, has always championed the taking up of perceived threats to Hinduism and nationhood, such as ‘love jihad’ and infiltration of Muslims from the borders. At the same time, he has been prone to magnifying local disputes into violent conflicts with religious overtones. In that sense, it is a great comedown for the syncretic traditions of the temple. For it’s said that the influence of Yogiraj Gorakhnath on Roshan Ali Shah, the great 18th century Sufi of Gorakhpur, was such that when the then nawab of Awadh, Asaf ud Daula, granted him land for the building of an imambara, he requested the nawab to make an equal grant of land for the Gorakhpur math. According to Adnan Shah, the president of the imambara, the Sufi saint wanted half of Gorakhpur for himself and the other half for his Hindu counterpart at the math: even today, he says, most of the city lands are owned either by the imambara or the math. According to some, the religious polarisation has only added to the political success of recent mahants. “The temple is so important for Gorakhpur, it’s no wonder that whenever a temple candidate jumps into the fray, he wins. And after the Hindu resurgence in the aftermath of the Ayodhya movement, since the mid-80s, only temple candidates have been winning from here,” says Manoj Kumar, a senior journalist and social activist. 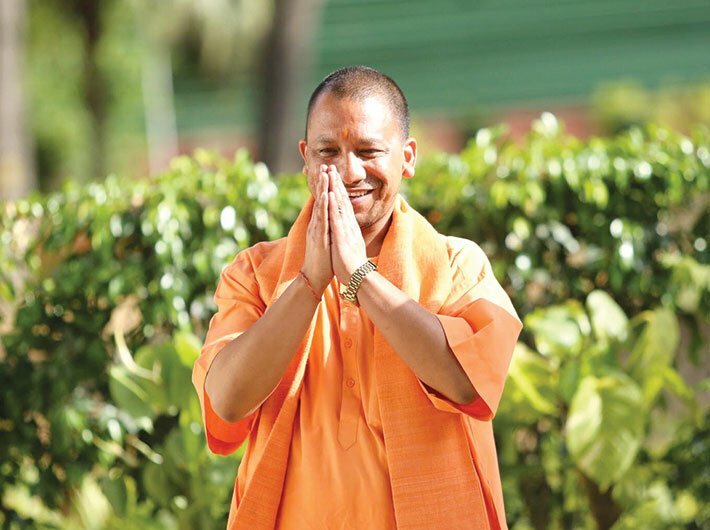 When Yogi Adityanath became chief minister of Uttar Pradesh on March 26, one of the first things that the state came into the limelight for was the police action, purportedly against harassment of women, that turned into the humiliation and punishment of harmless young couples sitting together in parks or other public places. In fact, like the waiver of farm loans, the setting up of ‘anti-Romeo squads’ had been on the BJP’s poll manifesto. The ‘anti-Romeo squads’ of police, badly named in the first place, acquired a bad name. The campaign was not suprising, considering that ‘love jihad’ was among Yogi Adityanath’s favourite windmills to tilt at. The statewide campaign saw these ‘anti-Romeo squads’ head for parks, educational institutions and other places – and in most cases, instead of going after men who harassed women, they would target young couples sitting or walking together, haul them off to the police station, threaten to tell their parents and teachers, even punish them by making the young perform squats or otherwise shame them. Again, not surprisingly, Gorakhpur zone accounted for 64 percent of all police cases filed by the ‘anti-romeo squad’. The region also accounted for the highest numbers – mostly young Muslim men – booked by the cops. In over two months of existence, the squads had lodged 538 FIRs, of which Gorakhpur zone alone accounted for 341 cases. Of the 1,264 persons booked during the period, the zone accounted for 816 persons. Across the state, 7.42 lakh men were checked for what they were doing in public places, around 3.38 lakh people were warned. Strangely, such action seemed to be largely welcomed by the people of the state, which has a strong streak of conservatism running through society. But social activists and opposition politicians had questioned the harassment of innocents, the hauling up of willing partners spending a few cozy moments together in parks or other places. Also questioned was the police practice of shaving the heads of the accused (who may or may not have been harassing women) and painting their faces with black ink. The outcry in the national media reminded the state government and police officers that their ways needed to be mended. So now, the police is ready with revamped squads which have been specially trained and sensitised. “The new squads will soon be active across the state, and training is under way. The new officers in the squads will be gentler and they will ensure that there’s no moral policing,” says Navniet Sekera, IG in charge of the women power helpline. The curriculum has sections addressing how the squads would deal with problems at the behavioural and legal levels. Besides, there is practical training to ensure that theory does not get forgotten on the ground. There’s training in etiquette and psychologists will teach them how to tackle cases in which couples are found going a bit too far with each other in public. With these changes, the squads might serve the purpose for which they were intended in the first place, that is, acting against men who are out to harass women or commit sexual assault upon them. However, it is quite unusual for a new government to gain attention through such a measure – however well-intentioned it might have been. What’s more, with the BJP presenting a development-driven agenda, it is somewhat unusual a programme for a government to have drawn attention with. But then, when the extreme fringes come to the forefront – as has happened with Yogi Adityanath becoming the chief minister – such initiatives are par for the course. The BJP’s election manifesto also promised that if elected, the party would put an end to illegal slaughter in the state, whatever the scale of the illegal operation. It’s the sort of muscular appeal that is finding much traction in the Hindu majority, especially in the Hindi belt. It’s also the kind of action that has high visibility, presenting a government that means business – never mind that there might be better areas to work on for long-term benefits to society. So within the first fortnight of his taking charge as chief minister, Yogi Adityanath launched a crackdown on illegal slaughter. Except for some large mechanised abattoirs, slaughter is a business carried out mostly by small, individual operators. Usually, these are poor butchers and, of course, some of them work without licences, the way a beedi roller may not be paying sales tax. Besides, there’s a degree of give and take in the business, with poor farmers passing on aging cattle to the local butcher in order to spare themselves the expenses of keeping an unproductive farm animal. This is the way the business has always operated. The crackdown – along with growing cow vigilantism – has spelled fear and ruin for small operators. It’s not just Muslims, there are Hindu communities – usually dalits – engaged in hiding, tanning, tallow-making, and other businesses that have come up around dead farm animals. All of them have been affected; and of course, poor communities who like to supplement their meagre diet with an occasional meat dish are being denied that small pleasure. To get an idea of the scale of the business in Uttar Pradesh, here are the stats: of the 72 government-approved abattoirs in the country, 38 are in Uttar Pradesh. Four of the abattoirs are run by the Uttar Pradesh government, of which only two, in Agra and Saharanpur, are functional. But these large, mechanised units mostly export their produce to the Gulf countries. For his nihari or biryani, the Muslim villager would have to rely on the local butcher, who may be operating without a licence. According to the Agricultural and Processed Food Products Export Development Authority (APEDA), UP is the highest producer of meat in India, with a 19.1 percent share, followed by Andhra Pradesh at 15.2 percent and West Bengal at 10.9 percent. From 2008-09 to 2014-15, the state produced 7,515.14 lakh kg of buffalo meat, 1,171.65 lakh kg of goat meat, 230.99 lakh kg of sheep meat and 1,410.32 of pork. There is no record of illegal animal slaughter and the quantity of meat thus produced, but rough estimates suggest that there are more than a hundred slaughterhouses and over 50,000 meat shops that run without proper paperwork. Says Dilshad Beg from Gorakhpur, who has filed a petition in Allahabad high court against the Gorakhpur municipal corporation, which refused to reopen a slaughterhouse in the city even after he offered them land for free: “Half of Uttar Pradesh’s licensed slaughterhouses and scores of illegal ones have been closed on verbal orders from the new chief minister. The verbal order is not only communal, it also leaves hundreds unemployed.” According to his lawyer MJ Akhtar, the authorities in Gorakhpur are in fear of the chief minister and have requested him to get final orders from the court. In another case, filed by meat shop owners at the Lucknow bench of the high court, directions have been issued to the government in May to start giving licences and no-objection certificates to meat sellers. The government had stopped issuing new licences and renewing old licences since March, when Yogi Adityanath came to power. The interim order is seen as a major relief. Justices AP Shahi and Sanjay Harkauli said in their interim order: “The state government cannot shy away from its responsibility of regulating slaughter houses.” According to advocate BK Singh, who appeared for the petitioners, traders are now free to apply for fresh licences or renewal or old ones. Even those whose shops were shut down as illegal can apply afresh. Another hearing is scheduled for July 17. Such actions have wasted time that would have been better spent in real development. 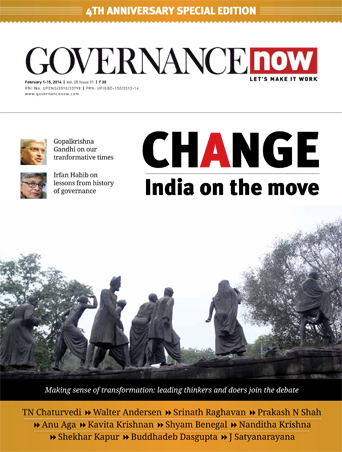 But the new government seems intent on asserting a muscular Hindutva as much as it speaks of development. Jungle Aurahi (yes, that’s what it’s called) is the chief minister’s adopted village, some 20 km from Gorakhpur. One might take a look at it as a pointer to how the development agenda of the BJP is being implemented in Uttar Pradesh. By that token, Yogi Adityanath’s government, which has completed 100 days, does not score well. It might have served as a showcase of what the government could achieve in a short time. But here’s what meets the eye there: potholed and broken roads, just one primary school for a population of 7,000, not a single healthcare facility, only 35-40 houses with toilets, a sheenless panchayat building. In the fields, the fencing is all broken. A small group of villagers is gathered at the primary school. They are discussing how Yogi Adityanath, as an MP, used to pay many visits to the village. They say he would criticise the Samajwadi Party government. But now, since becoming chief minister, he has not visited the village even once. “Yogi Adityanath used to say the SP government did not release funds,” says Brijlal Thakur, an elderly man. In the chief minister’s adopted village, little seems to have changed in 100 days of Yogi raj. Only that some material for building toilets in every home has arrived. There are around 950 households in the village but there is no proper drinking water facility. The ponds are all encroached upon and hence dying a slow death. “There has been no work done to revive the ponds. Some of the handpumps are out of order and they have not been repaired since long. But then, an overhead tank is being built to supply drinking water to the village,” says Vinay Kumar, who recently got his hair cut exactly like Yogi Adityanath. However, there’s a tube well which is operational and has been providing water for irrigation for decades now. Power supply is not too bad, according to villagers, but quite often voltage is low, so it’s not much use. There’s intensive farming in the village, and the harvest of a variety of vegetables and some cereals. But that’s the only occupation available locally. Those with marginal land holdings are migrating to towns and cities or to other states to earn a livelihood. And with the marginal education available locally, they find themselves ill-equipped for city jobs. Says Harikishan, who grows ladies’ fingers and cabbage, “There are no jobs here. There is a primary school, but those who want to pursue higher education have to travel 6-10 km.” For any kind of specialist treatment, too, villagers have to travel to the Baba Raghav Das Medical College, in Gorakhpur city. For all their troubles, the villagers are proud that Yogi Adityanath is the chief minister, and that they live in his adopted village. “Our achchhe din are almost here,” says Sunita Devi, an elderly woman who has recently had a toilet built at her house. “It’s all due to Babaji (Yogi Adityanath).” Such is the hold of religious appeal in an era of muscular majoritarianism. Perhaps that might explain the success of the BJP, as also its choice of chief minister for India’s biggest state. 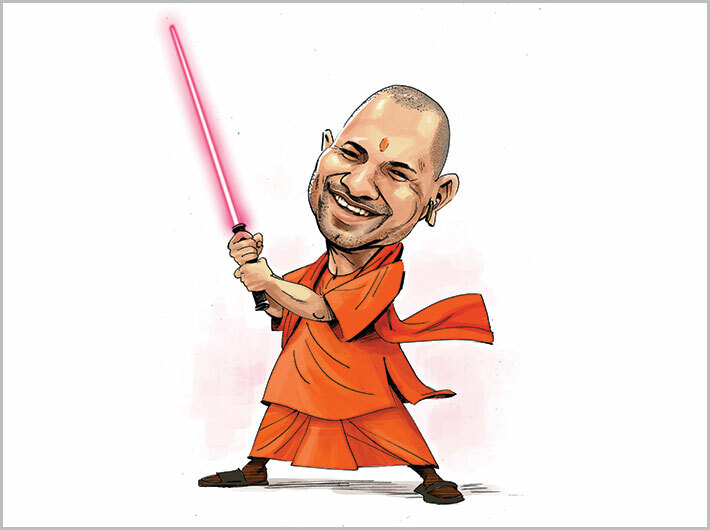 The story of Yogi Adityanath and his rise in Uttar Pradesh politics would be incomplete without the mention of the Hindu Yuva Vahini (HYV), a Hindu youth organisation he founded in 2002. It describes itself as a cultural and social organisation aimed at promoting Hindutva and nationalism, but the cases many of its saffron-stoled leaders and members face are an indication of its unruliness and might-is-right ways. In fact, the organisation itself has put enrolments on hold, apparently to prevent the entry of anti-social elements. Over the years, the HYV has spread its roots across at least seven districts, down to the panchayat level. And true to the self-descriptor used on its website, it has proved itself to be prakhar (in English, fierce), spearheading campaigns against 'love jihad', cow slaughter, all kinds of real and perceived slights to Hindu pride. The cases against it have mounted too: its members have been booked for criminal intimidation, rioting, causing hurt to public servants, violating prohibitory orders, and under anti-gangster laws. Sunil Singh, who was the Uttar Pradesh chief of the HYV till recently and is among its founding members, is a history-sheeter with a string of cases against him at the city's Harpur Budhat police station. He was removed from the organisation for indiscipline when he announced that he would field some candidates in the 2017 assembly elections. Given the influence and reverence the Gorakhnath temple commands, as its mahant, Yogi Adityanath has won every election he has contested since 1998. To this the HYV has added more heft: ever since he founded it in 2002, his victory margin has only kept increasing. 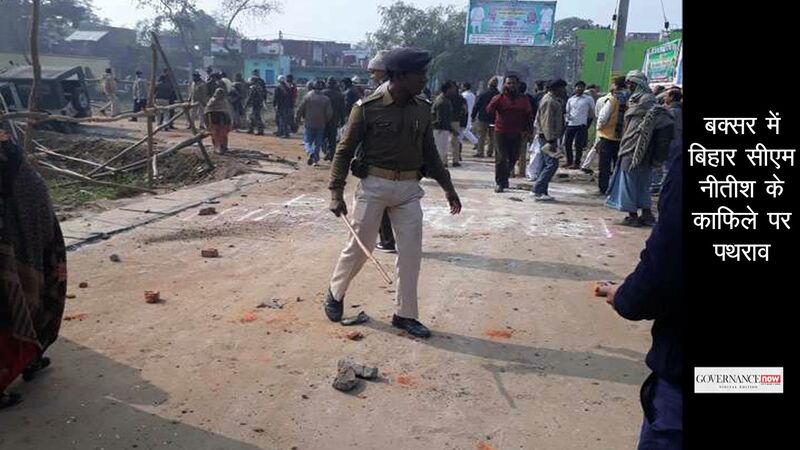 Communal riots had become a regular feature in Gorakhpur and adjoining areas after the HYV started flexing its muscles. It went unchecked for long, perhaps because any action against the mahant of the influential temple might create ill-feeling and unrest in people. The only time the state stepped in was in 2007, when Yogi Adityanath and a group of men marched towards a Muslim religious structure, threatening to destroy it. Yogi Adityanath had made an inflamatory speech before leading the march. The Mulayam Singh government had him arrested; and he remained in a lockup for 11 days. There was some rioting in his support, but the government did not relent. It even withdrew the guards assigned to him. Since then, Yogi Adityanath is believed to have mellowed a little. Tears flowed freely and he even sobbed in the Lok Sabha while recounting his experience, alleging that the government was out to get him. However, Yogi Adityanath has never disowned the HVY or its extra-legal activities, whether as mahant or as chief minister. In May (after Yogi Adityanath became chief minister), Ghulam Ahmed, of Sohi village in Bulandshahr, was beaten to death, allegedly by men who claimed to be Hindu Yuva Vahini members. They accused him of having helped a Muslim man elope with a Hindu girl. 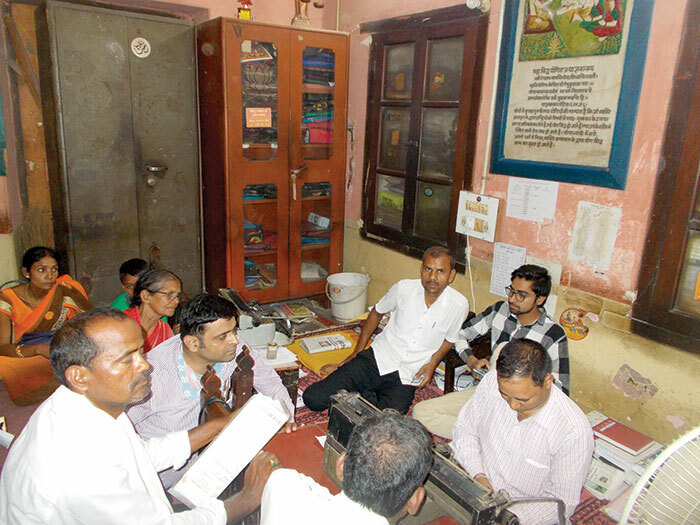 HYV workers have also barged into a church in Maharajganj district during a prayer meeting and assaulted the priest, alleging that people were being forced to convert to Christianity. Unlike Yogi Adityanath, deputy chief minister Keshav Prasad Maurya once declared that the BJP had nothing to do with the HYV and its activities. Social activists are more blunt. “Members of the HYV behave like nothing less than goons. They assault and harass people and obey no one other than their leader. They fondly refer to Yogi Adityanath as ‘Gauraksha Peethadhishwar Parampujya Yogi Adityanath Ji Maharaj’ and put on a saffron stole around their necks to distinguish themselves from others. What would you call such organisation?” asks Manoj Kumar, a senior journalist and social activist of Gorakhpur. The HYV operates from a three-room office on the first floor of Hindu Bhavan, a saffron building near the Gorakhpur railway station. 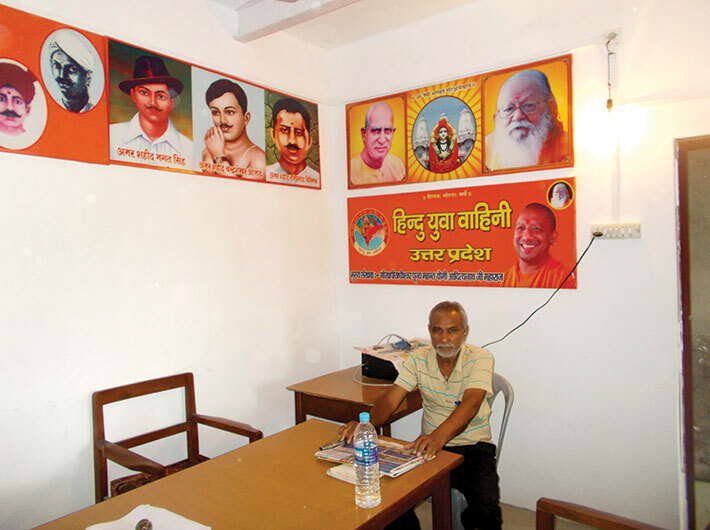 There are a few chairs scattered about, there’s a dismantled computer, and there are some posters of Yogi Adityanath, Narendra Modi, and some former heads of the Gorakhnath temple. The elderly caretaker, Mahesh Kumar, who was rearranging books on a table there, says there is very little work done at the office these days, since Yogi Adityanath is no longer in the city, having taken charge as chief minister in Lucknow. The present chief of the HYV, PK Mall, is a local businessman. He says the organisation was created in response to a need: Hindus needed to be protected against a growing number of attacks, especially from Muslims. He claims that since Yogi Adityanath took charge as chief minister, the number of applications for membership has grown manifold. However, the membership drive is on hold for now: the organisation obviously wants to be careful because of the bad publicity its violent members have brought. Yogi Adityanath is a five-term MP; he has been a Lok Sabha member continuously since he was barely 26! That makes him a seasoned politician, but he of course does not have administrative experience. Given the record-breaking mandate, he will have to deliver on the development front – something the biggest state of the country badly needs. Moreover, prime minister Narendra Modi – in whose name the BJP has got this record-breaking mandate – would want tangible development by 2019. For the first time in 15 years, Uttar Pradesh and the centre are ruled by the same party. This synergy should favour speedier development in the state. Moreover, a proactive prime minister means an extra focus from PMO on the state and better bureaucratic coordination – the lack of which is one of the prime reasons for UP’s laggardly status. The state budget presented on July 11 – the Yogi govt’s first – is ambitious on the development front. The size of the budget, Rs 3,84,659.71 lakh crore, is full 10.9% up from the last year’s. Provision is made for the much-talked-about loan waiver of '36,000 crore. The waiver was promised by the PM during the election campaign, and it was among the first decisions taken by the new UP CM. It led to similar announcements by several other states, and economists criticised it as such populist measures would hit state finances. However, the UP budget has managed to keep fiscal deficit at '42,967.86 crore, or 2.97% – well within the 3% ceiling under the Fiscal Responsibility and Budget Management Act. This is achieved by apparently doing away with some of the populist schemes of the previous government. >> Rs 55,781.96 crore allocated for new initiatives >> Rs 288 crore allocated for metro rail projects >> Rs 598.64 crore for road widening and resurfacing >> Rs 451.58 crore for rural roads >> Rs 251.67 crore for roads in the seven districts touching the Nepal border >> Rs 253 crore for roads under the World Bank-aided ‘UP Core Network Project’ and Rs 202 crore for road building with the aid of the Asian Development Bank.